Have you seen the fall schedule yet? It is up and ready. You can register online or download a hard copy and send it to me. Either way don’t wait and miss out on your favorite class time. Empathy between children and the world is a main developmental objective for preschool children. They don’t differentiate between themselves and others. Cultivating relationships with animals, both real and imagined, is one of the best ways to foster empathy during early childhood. Children want to run like deer, to slither along the ground like snakes, to be clever as foxes, and quick like bunnies (adapted from Sobel, David. 1999). Fall Classes? Check Out the Lineup! Feathers introduces Baby to a delightful range of songs, movement activities, object play and vocal play relating to our feathered friends. The Australian Kookaburra, the African Ostrich and many more birds from across the world are featured in songs, dances and poems. Both jazz and classical selections, a Yiddish folk song, a Muskogean melody, and Mother Goose rhymes set to music are just a few of the colorful and exciting pieces introduced in this curriculum. Do-Si-Do stimulates a wonderfully unique experience of rhythm and movement including a Virginia Reel, a combination Tango, Cha-Cha! and a “move-to-it” poem. Other activities range from chime ball play to instrument exploration and more. Music selections draw from many traditions, including African American, Mexican, Romantic, Scottish, South African and Southeast Asian. Dust off your shoes and dance with us! Wiggles & Giggles is all about movement (wiggles!) and fun, funny words and sounds, and emotion (giggles!). This unit is about humor, laughter, silly sounds and words, and movement. It features songs, activities and literature books surrounding the ever exciting themes of taking a bath, animal movements and love for family and friends. 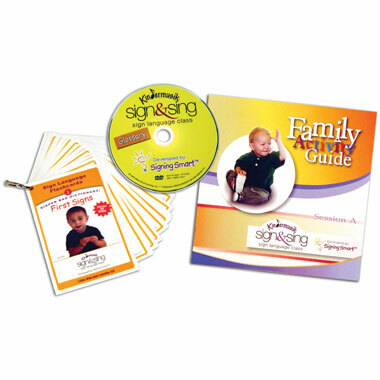 At Home materials include two home CDs, a Home Activity Book, two books (Pete and P.J. and Watch Me! 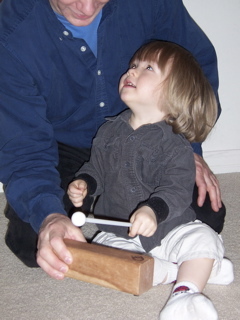 ), and an original home instrument–Zig Zag Blocks to rub, tap, clack and create lots of fun zig zaggy sounds and play. See What I Saw takes the child on an imaginary trip to Grasshopper Park where he sails down the park slide into adventures with swings, trees, a lake, a sailboat and much more. Musical concepts such as tempo, glissando, accelerando and dynamics will be developed. The music is multicultural – jazz, classical, traditional folk and game songs, as well as music from Canada, Greece, Mexico and West Africa. Two musically driven literature books, along with the home activity book, extend the class into the home setting. 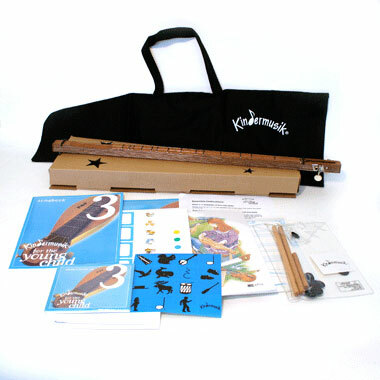 Each child receives three books, a home instrument (Kindermusik Slide Whistle), two CDs, and a Grasshopper Park Play Set. Students new to Imagine That! receive a Kindermusik backpack. Semester 1 broadens the child’s musical experience through the introduction of the glockenspiel. Learning how to keep a steady beat plus reading and writing musical notations will help a child lay the initial groundwork for musical success! In Semester 3, children are introduced to stringed instruments with their very own dulcimers. Along with the dulcimers we will continue to play our glockenspiels while we focus on call and response, improvisation, meter, notation and a touch of Tchaikovsky. Themes this semester are Music of Appalachia, Music of the Sea and Native American Music. 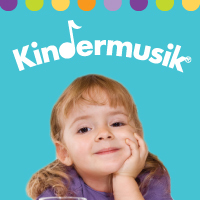 The Fall Kindermusik Schedule is now up and running! You can download a registration form, register online or give me a call with any questions. Check it all out here. The winter class schedule is up on the website. The online registration should be working also. Lots and lots of fun is in store for you and your child this fall! Sign & Sing is just about ready to start. Contact me right away if you are interested in this August only class. Session A: Everyday items around the house—a ball, bubbles, mom and dad — become the objects of learning in the classroom and at home. In the Village classes (newborn – 20 months) this fall we will be doing Zoom Buggy and Dream Pillow. Zoom Buggy!—Swoosh, vroom, and clickety-clack your way through this delightful unit. Babies and adults will dance, sing, and play instruments to the theme of being on the go. Chug around the room to the song “Little Red Caboose,” hold on tightly while “Riding in the Buggy,” and dance your way to “Zoom-e-oh!” Engage in rituals and playful activities such as infant massage, lap bounces, exercise, and quiet time. 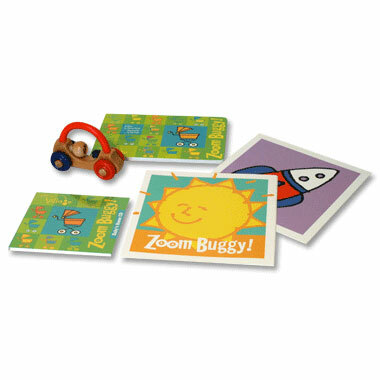 Home Materials: Colorful board book—Zoom Buggy, Home CD of the songs heard in class, two Art Banners, and a baby instrument for music-making at home. Dream Pillow—This title alone brings images of rocking, cuddling, singing, and lulling to sleep. But leading up to sleepy time are many upbeat and playful activities. Babies and Adults will swirl to a dreamy cloud dance “Meet Me Tonight in Dreamland.” They’ll also play baby appropriate instruments to “Aiken Drum,” and “Sarasponda.” Favorite nursery rhymes like “Wee Willie Winkie,” and “Diddle, Diddle, Dumpling,” are sprinkled throughout the classes. It’s easy to weave many of the class songs and activities into your families’ daily routines. Home Materials: Board book that calms and relaxes—Dream Pillow Lullaby, Home CD of the songs heard in class, two Art Banners, and a baby instrument for music-making at home. The 1.5 – 3.5 year olds in Our Time will LOVE Milk & Cookies! 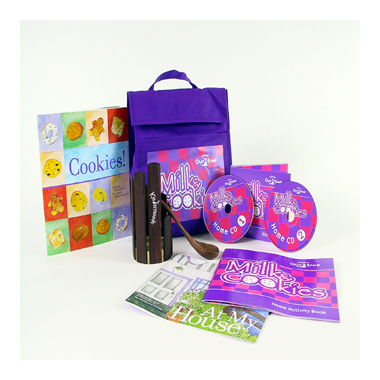 Milk & Cookies makes everyday home activities and chores easier and more fun with music! Cook and sing to “The Muffin Man”; dust and clean to the original song “In My House”; get ready to wash clothes to the delightful poem “Washing Machine”. Baking cookies, eating cupcakes, blowing on hot cross buns, wiggling like jelly, going grocery shopping and making tea are all represented in familiar as well as new songs. Move, play, and sing together in developmentally appropriate activities created just for 1 ½ to 3-year-olds. Capture the familiar and new moments of the day and learn how music can impact your toddler. Home Materials: Two Books—At My House and Cookies, Two Home CDs, Stir Xylophone instrument, and a Home Activity Book—all arriving in a durable lunch bag. Imagine That! will be a blast for the 3.5 – 5 year olds when we present Hello Weather. Hello Weather! Let’s Play Together!—sunshine, rain, snow, thunderstorms, and more in this imaginative and delightful weather-related musical adventure. Preschoolers create storm sounds with a drum to “Wild Storms,” jump in pretend puddles to “Mud Puddle Jump,” throw pretend snow-balls to “Snowballs,” and sing along to “Colors of the Rainbow.” They’ll be surrounded in a creative musical environment that integrates music, pretend play, story telling, movement, and more. Home Materials: Two books—Michael Finnigan and Hurry Home, Little Kittens, Hello Weather Play Set, Two Home CDs, Family Activity Book, and Instruments—ankle bells and rain shaker with scraper. Young Child classes for the Kindergarten and 1st graders will also be getting underway again this fall. It is amazing how much they can learn at this age! I wish this had been available when I was young. A pressure-free approach to learning, but concrete enough because your child is ready for the more abstract thinking processes that music requires. Play remains the primary way a young child learns, so throughout the curriculum there is a consistent effort to balance active learning with the emotional reasoning aspects of a young child’s development in mind. 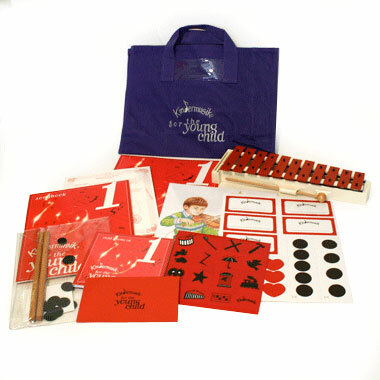 Home Materials: Children’s Folder, Music At Home cards & stickers, Games Bag, Family Songbook, Home CD, and Carry Bag. Instruments can include glockenspiel w/mallets, dulcimer, and recorder.